To celebrate International Women’s Day last week, many brands released International Women’s Day merch that benefits a good cause, and we are fully on board. We’ve rounded up our 10 favorites that we’re adding to our shopping wishlist ASAP. 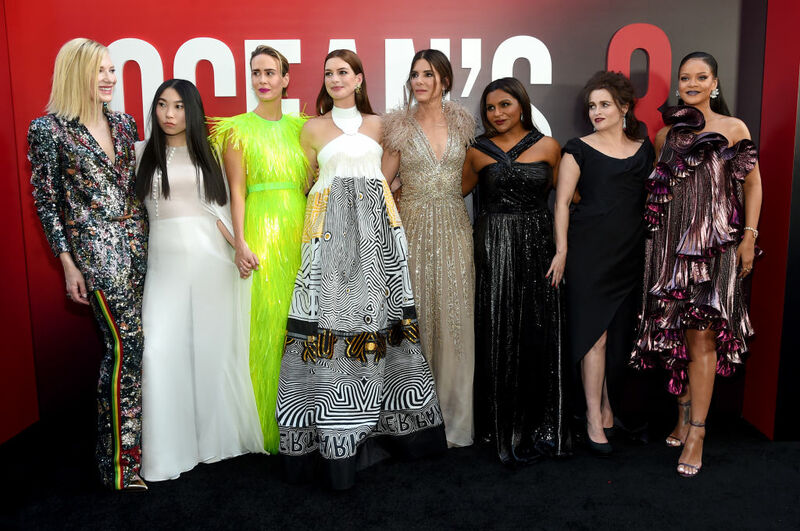 Now if a brand would just push out an International Women’s Day T-shirt featuring the cast of “Ocean’s 8,” we would be in heaven. Why push out one product when you can push out a six-piece collection? Net-a-Porter teamed up with six designers, including Isabel Marant and Victoria Beckham, for a line of T-shirts featuring different motivational messages. 100 percent of the profits from the sale of these T-shirts will be donated to the Women for Women International – UK charity. Old Navy will be donating $25,000 to P.A.C.E. to benefit female education, and this graphic tee sends a powerful message. This shirt features a neat little embroidered graphic, and 50 percent of the proceeds from sales of the shirt will benefit Planned Parenthood. Spanning multiple items, $1 from every sale of this collection will be donated to the Girls Inc. charity. This Brooklyn-based brand released two of its popular items in a toile print that features feminist-inspired images throughout, like Rosie the Riveter. Proceeds from the collection will go to Time’s Up. 25 percent of the profits from Reese Witherspoon’s clothing label’s collection will go to Girls Inc. These statement-making pieces make up a limited-edition capsule collection. For every item sold, the company will donate $5 to P.A.C.E. Gap worked with four amazing women to design this collection, and the company is donating $10,000 to C.A.R.E. Mattel launched Barbie versions of inspirational women, like Indian gymnast Dipa Karamaker and Frida Kahlo.